Hoke County is part of the Fayetteville, NC Metropolitan Statistical Area. 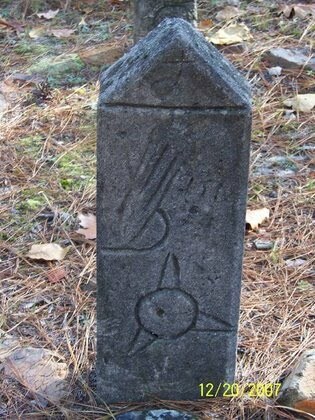 The county is home to part of the Fort Bragg military reservation. The county was formed in 1911 from parts of Cumberland County and Robeson County. 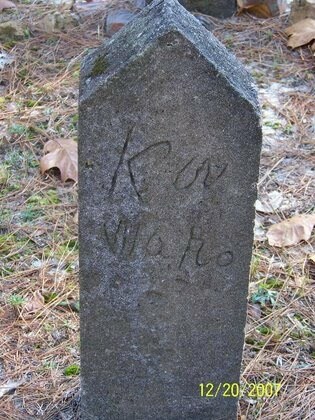 It was named for Robert F. Hoke, a Confederate general in the American Civil War. 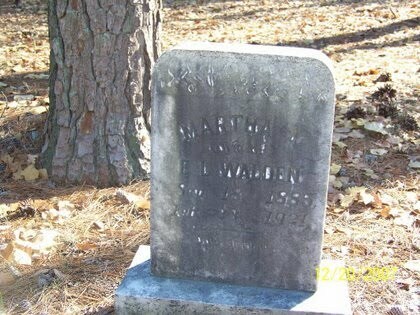 Located In: Fort Bragg Military Reservation Township, Hoke County, North Carolina, United States Established: ? 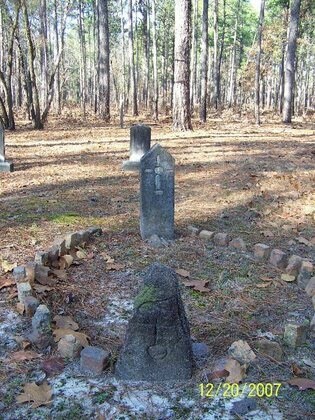 This Indian cemetery is located on the reservation and are the ancestors of the Goins and Waldens living in the Moore County and surrounding areas today. 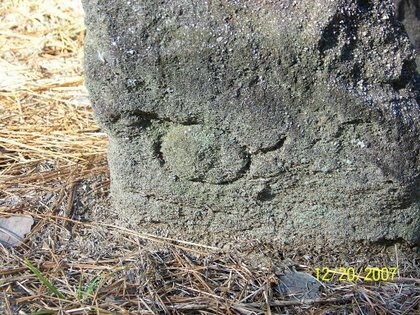 It is noted by the Fort Bragg Cultural Resources Department as being an Indian graveyard, on what was once Edmund Goins property near the Silver Run Creek. 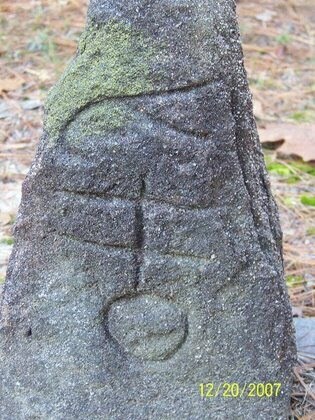 There are tombrocks with Indian markings and a number of marked graves without inscriptions. 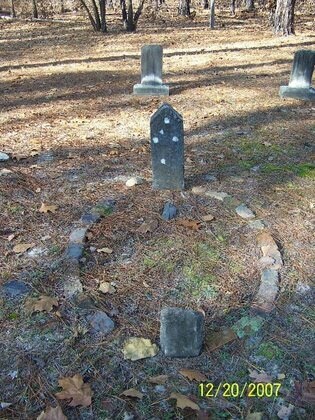 The size of the burying ground is approximately one acre and contains nearly fifty graves. 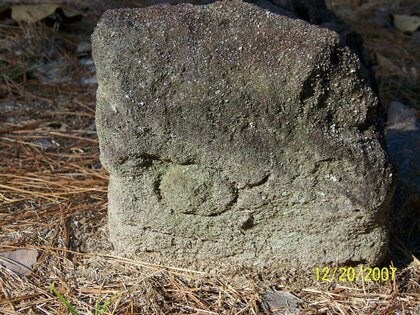 The below pictures were submitted by Will and Jo Anne Goins. 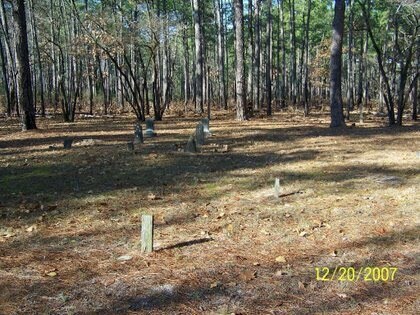 Linda: Thank you so much for your kind assistance in allowing us access to our family graveyard on Ft Bragg (Goins Cemetery). 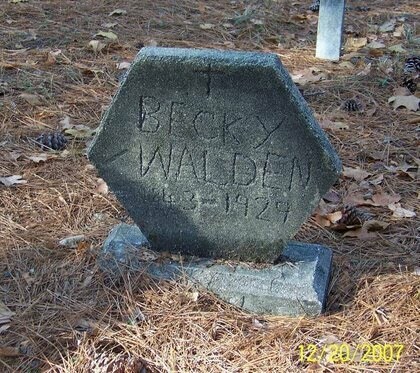 My wife JoAnne and I enjoyed meeting you and we are greatful that you would take the time to accomodate us and allowing us to visit the cemetery. You really went over and above what is normal. We received the two papers you sent and we are all of us going through them searching for clues. 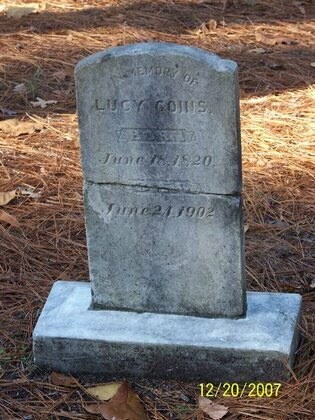 My cousin, Tracy Hutchison has a website where she has put pictures of the cemetery and it also contains all the Goins information we have for our branches of the Goins Family. Having been in the military myself, I hope that you will share this e-mail with your immediate superior so he/she will realize what a fine job you are doing and how well you represent the US Army and Ft Bragg. 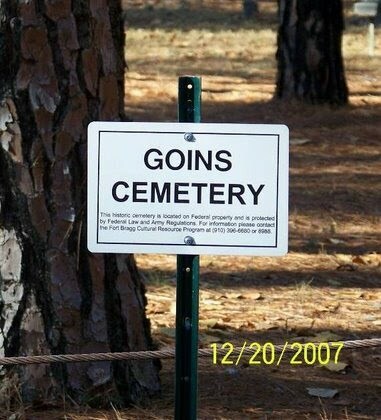 I was so pleased to see the care that the cemetery received and how nicely it is maintained. An old Marine is greatful to his Nation.